November, a year 2009 - NARS cosmetics celebrates 15 years anniversary with the launch of the 15X15 photography project, shot by the founder of the brand makeup artists and photographer François Nars. 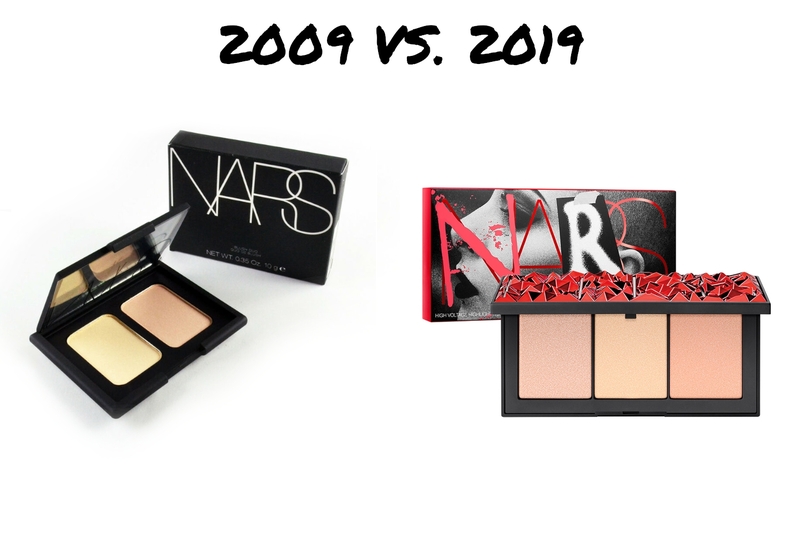 In the past ten years NARS cosmetics outlasted many changes but continues to please its fans with high-quality makeup products. A brand new palette of highlighters by NARS can not be compared with a ten years old duo called Hungry Heart. An old palette, release at the summer 2019, featured two iridescent illuminators: pearly pink with golden sparkles and ivory-gold shade. But, unlike latter-day highlighters, Hungry Heart duo provided a very subtle glow to the skin. The packaging is also changed and now it has even more personality than ever! An old-hand makeup junkies remember one of the most iconic and the cutest makeup collections by Mac Cosmetics. I'm talking about the Hello Kitty makeup collection, released at January 2009. The Hello Kitty collection was combined of two different makeup collections: the Hello Kitty Colour Collection for makeup lovers and Hello Kitty Kouture for professionals and collectors; plus it included a line of exclusive accessories with Hello kitty snouts and tons of rhinestones. 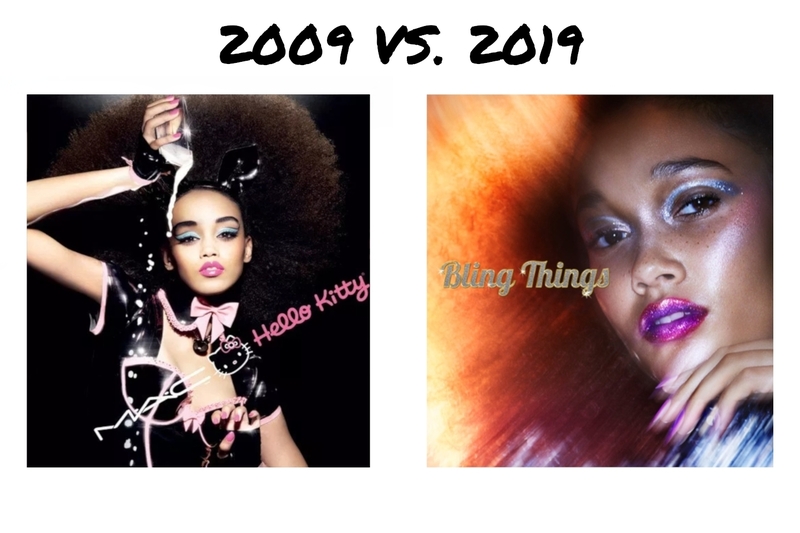 Ten years later Mac Cosmetics has prepared a whole new set of makeup collections, released in the beginning of 2019 year: Makeup-Ready Skin, MAC In Monochrome, Lucky Red, Glitter Tripper, PatrickStarrr Slay Ride and Bling Things. These makeup collections feature both new and classic products by Mac Cosmetics. In the past years brand have definitely improved packaging design and presentations for the collaborative collections. You might not recognize the next product, but it is one of the most iconic eyeshadow primers in the beauty industry. Eyeshadow primer potion by Urban Decay in the Original shade has become a holy grail product almost for every makeup lover. 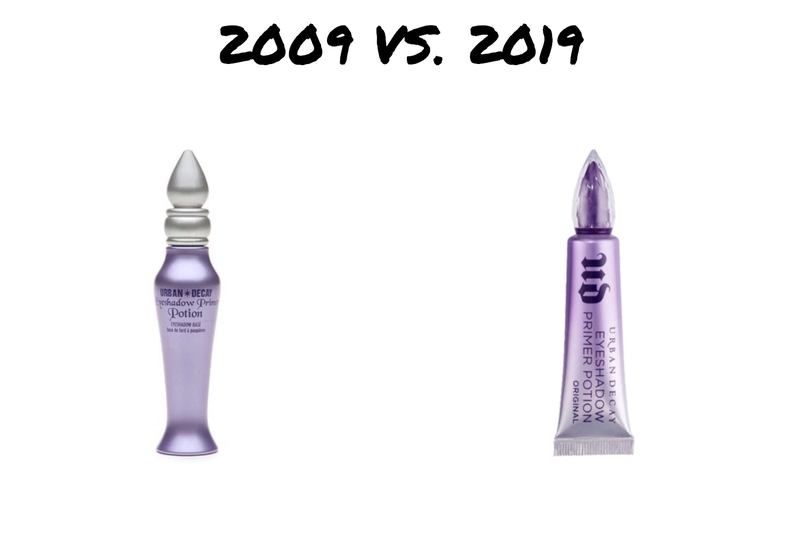 A decade ago it had a slightly different shape and formulation, but after the regular customer complaints Urban Decay changed the packaging. No more vintage-shaped tube with magical Gothic letters. Now Primer Potion comes in a pretty regular squeezable tube and the only two things left from the original packaging is the appealing lavender shade and wand-applicator. Even the original formula has been enhanced with anti-aging agents. 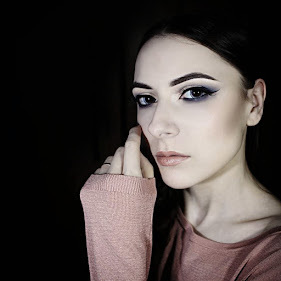 Some indie makeup brands have gained huge popularity and drastically expanded the range of the products they developed since 2009. For instance, our beloved Lime Crime, that produces makeup for unicorns, completed the colorful lipstick collection with blindingly bright highlighters, diamond lip toppers and eye palettes. Lime Crime was one of those brands who made people fall in love with sophisticated matte finishes once again and reminded us about the beauty of neutral shades. I really hope that Lime Crime will continue to please our makeup tastes for a very long time. 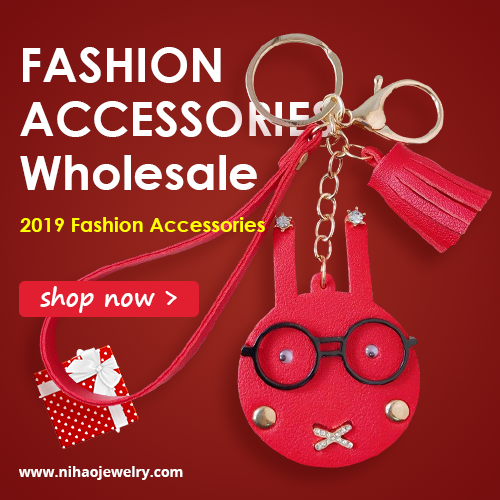 On my opinion, one of the best news for makeup industry is that more and more world-famous brands are turning cruelty-free, earning a leaping bunny trademark. Throughout the past ten years a huge amount of cosmetic brands said no to animal testing. 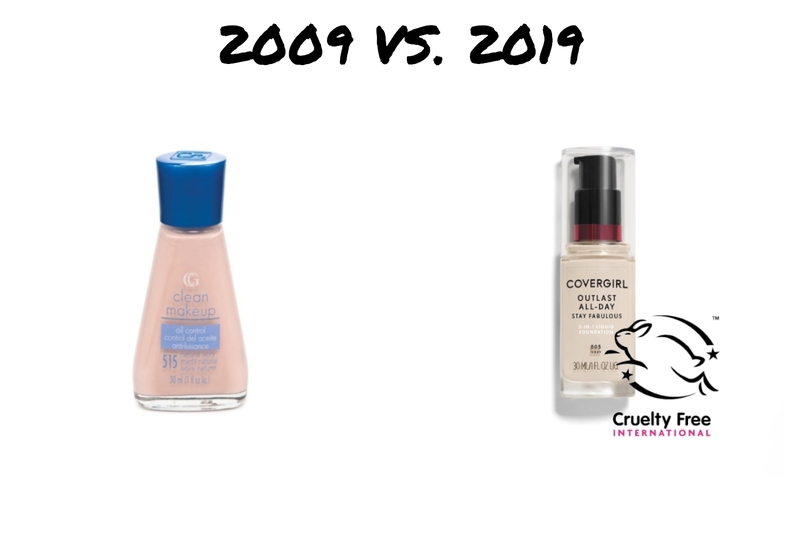 For example last year a drugstore brand CoverGirl has finally become totally cruelty-free. In August of a year 2018 the state of California passed a bill, which is going to ban the sale of products tested on animals. I believe, this bill marks a brand new future for the entire beauty industry all over the world. 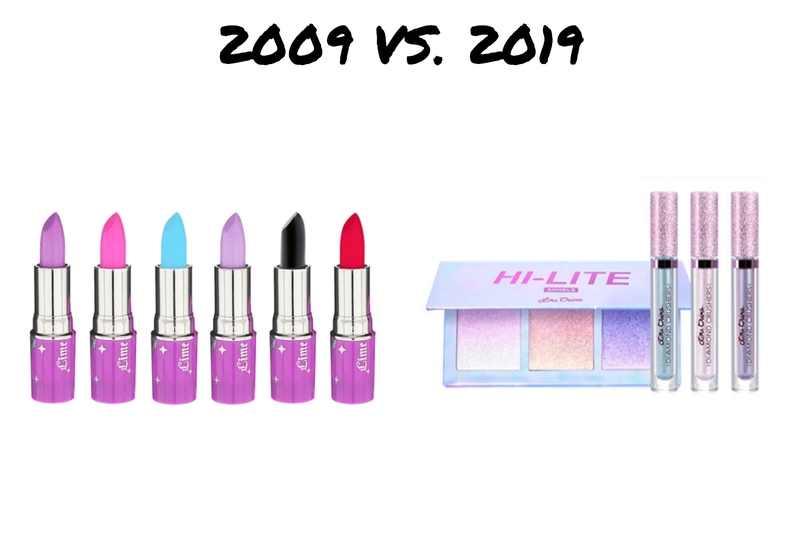 I can use few phrases to sum up the ten years challenge for makeup industry: fresh packaging redesigns, recyclable materials, vegan formulations, crazy colors and competitive race. 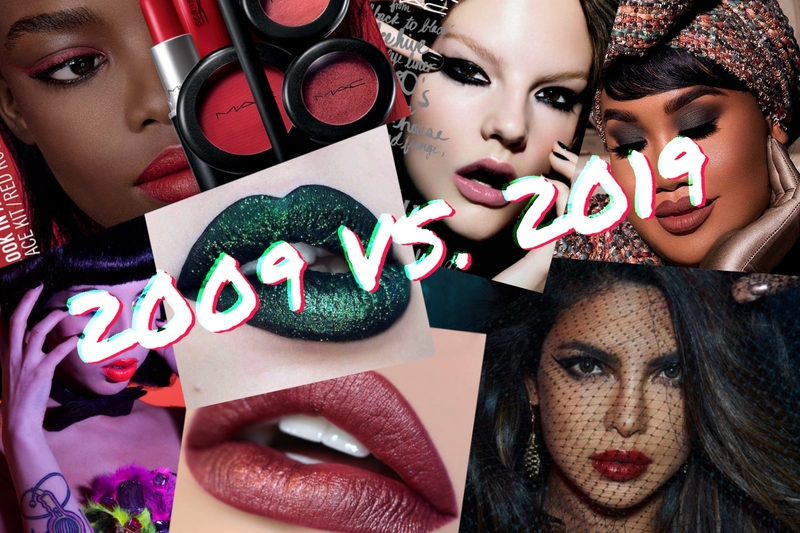 The past ten years have been one of the hottest years for both indie and huge makeup companies. While smaller brands stunned makeup professionals with a brand-new approach to beauty, well-known makeup brands have finally started to sense the wind of change. Well, let us see what the next decade will bring on its unpredictable wings! 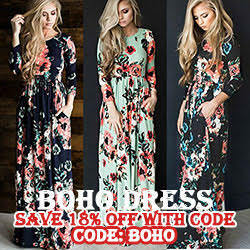 And what do you think, ladies? What should we expect in the nearest makeup future?